Filipinos living outside the Philippines will always crave for Filipino restaurants like Jollibee, Goldilocks and Red Ribbon, the crave gets worse the longer we haven’t tried them that is why when we visit a country with these restaurants we are always excited and will make sure that it will be in itinerary of places to visit. No words can explain the faces of Filipinos dining into one after a very long time, even though most of the dishes can be recreated at home the feeling of eating the legit stuff is priceless. 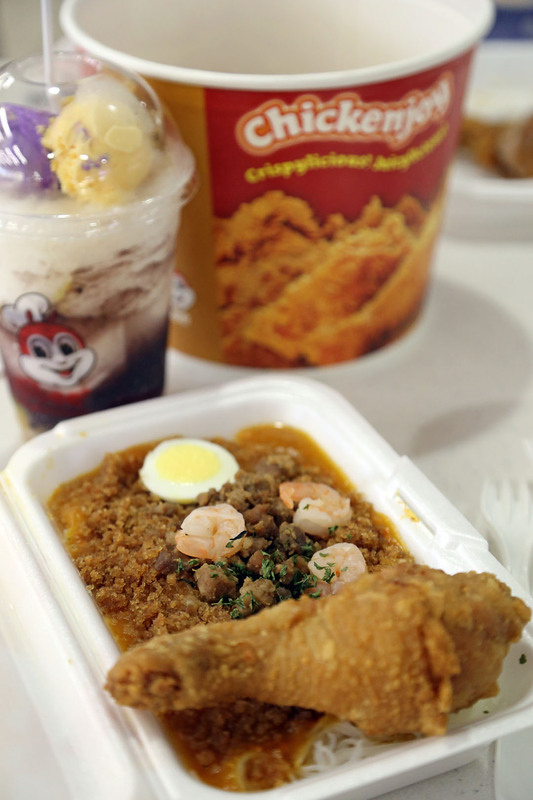 Filipinos are everywhere and in places where we are concentrated these restaurants are also present specially Jollibee I had tried several of them, the ones in Hong Kong, Cerritos California and Hawaii. I also heard there are branches in Kuwait, Qatar, Saudi Arabia, Singapore and Vietnam and there will be future branches in countries like Australia, Japan, South Korea, Canada, France, Germany, Italy, Spain and UK. The last time I had these was in Hawaii last December and I never knew there was one until one of my friends posted a photo on Facebook. Luckily they went a month earlier than us otherwise we will never had known that this branch exists. Located in Ala Moana it’s quite hard to find as it’s in a hidden corner of the food court, luckily there were lots of Filipinos that pointed us to the right direction. The moment we had a glimpse of the restaurant I felt like a child opening a gift and finding out it is his dream toy. We were so excited and missed the food we ordered a bucket of chicken, palabok and definitely some halo halo. We then ate in silence, joy and satisfaction. Now you might be asking why do we crave for this? Actually I can’t define why? It’s like love at first sight, it’s quite hard to explain why you feel like such, the food is not really amazing that it can win every food awards out there but it’s just good to make you come back for more. Now do I recommend it? 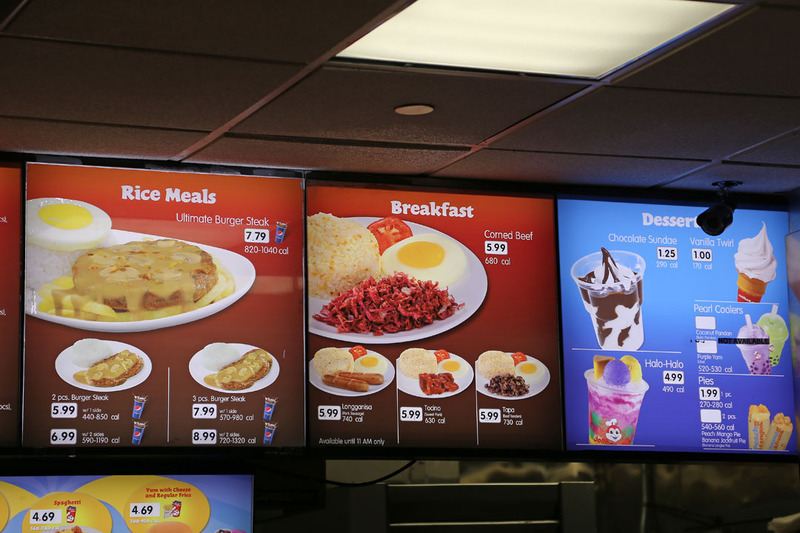 Well yes especially the chicken and halo halo, other menu items will be unrecognizable for non-Filipinos. Having said that spaghetti might look like the one you know but trust me it’s not, this version is the Filipino sweet version so be warned. 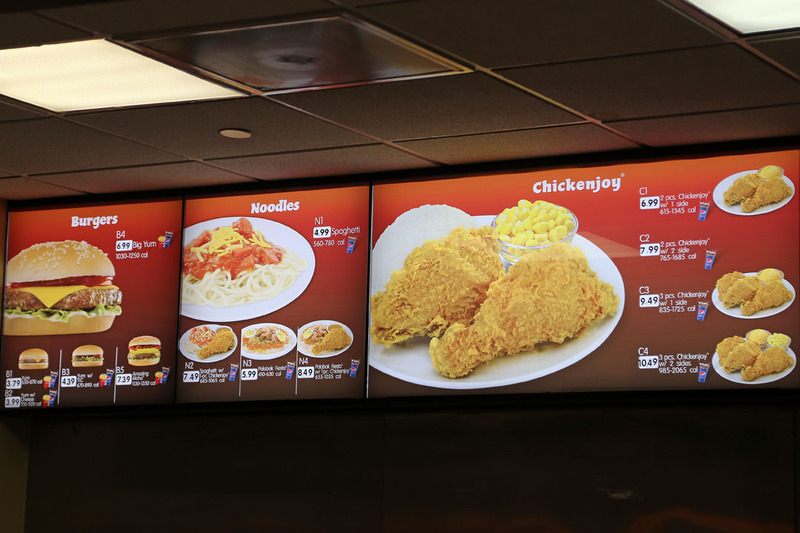 The chicken called “Chicken Joy” is the pride of Jollibee, it’s crispy as a potato chip on the outside and inside is as juicy as the regular KFC chicken best enjoyed drowning it in its gravy. 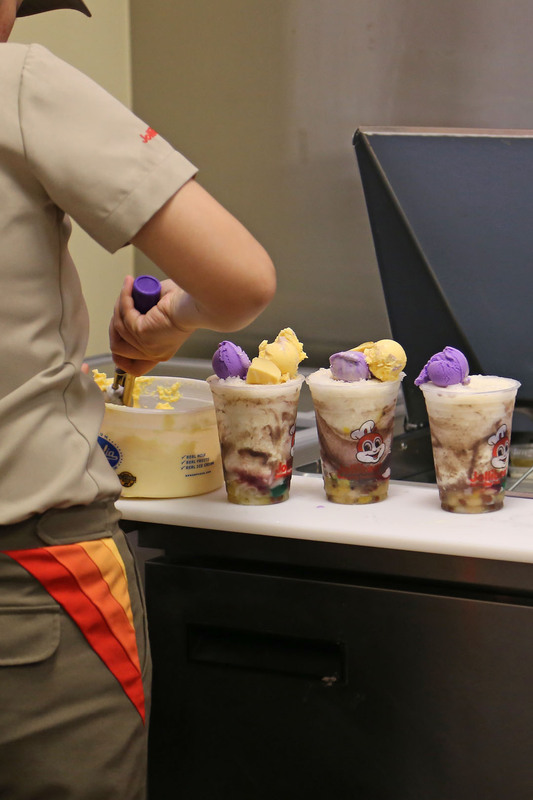 Halo halo on the other hand is a cross between a dessert and a drink where beans, fruits, nata de coco, sago, kaong (sugar palm), sweetened root crops, corn, crème caramel, shaved ice, milk and ice cream served in one big glass. It sounds crazy because it is! Its crazy delicious. For the other menu items I will leave it up for you to try, they all taste great but its more designed for the Filipino palate like the palabok, spaghetti and rice meals. I can’t wait to share this post with my new Filipino friends here in Albuquerque. They are always talking about food so I can’t wait to hear their oohs and awwwes.